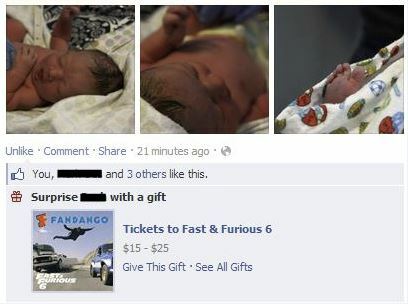 I don’t think their suggested gifts algorithm is doing a good job of suggesting Fast & Furious 6 for a newborn, but perhaps I’m just a traditionalist and out of touch. “Ordinary skin cells have been directly converted into the myelinating cells destroyed in multiple sclerosis, according to two new papers in Nature Biotechnology. This has huge potential and I really hope the research progresses well – MS is one of those diseases where there haven’t been a lot of breakthroughs yet. It seems like we are getting close and closer to true medical breakthroughs, like printed or grown/reseeded replacement parts and direct mapping of pharmaceuticals to an individuals genes. I’ve been using Windows Media Center for years. I run WMC on my desktop computer to a projector and speakers. We don’t have a TV, so this is how I get my fix of Netflix, DVDs, and loads of downloaded documentaries I stream from my Synology NAS (home file server). This has been a cost effective setup, but it always had disadvantages. The main issue is that the computer serves dual purposes but can’t multitask – it isn’t possible for one of us to play a game and the other to watch a movie (first world problems, I know). It also lead to some interesting issues with speakers, cables, and training guests how to use the system. Today my need for WMC is essentially dead. For around $100 (or even less depending on your needs) you can get almost the same experience without WMC (minus DVR functionality) in a dedicated, energy efficient device. There are others (including the interesting Raspberry Pi) but the main contenders for me were Roku and Apple TV. Out of the box, the Roku was the easy winner – it supports playback for everything on my file server (extracted DVDs, MKV files, etc) and has a number of streaming content channels. The main strike against Roku is that it doesn’t support any sort of AirPlay. I would need to add another device in order to link the home theater system into whole house audio (I use speakers and airport express devices to link audio in other rooms). The base Apple TV simply wasn’t a contender. AirPlay solves many issues, and the Remote App software for iPhones or iPads is very nice. But the bottom line is that the only non-walled garden content available is from YouTube and Netflix. The rest of the time you are stuck with Apple only video formats (mp4) and integration into iTunes (no NAS support). This simply pales in comparison to the Roku. There is however, another choice. The most recent firmware of Apple TV allows for jailbreaking. Well, allows isn’t really the right word as the next version of Apple’s software updates is sure to try to break this option. In any case, this jailbreaking opportunity puts a lot more options to extend the Apple TV on the table. One of the most popular (and free) options is to run XBMC, which is mature media center software which has plugins to do almost anything you need. The negative aspect of the current XBMC on Apple TV is that it isn’t integrated within the existing Apple TV menu system – instead it launches its own system to play back media. Instead of XBMC I went with a product option which has a much more simple and integrated approach for my jailbroken Apple TV. I purchased a software package called aTV Flash. Once installed it easily connected up to my NAS, allowed for file management and folders, and favorite sections in the main apple tv menu without having to launch something separate. It feels like it was part of the Apple TV from the start. It plays everything I throw at it from the NAS with ease – movies, mkv files, etc. It also preserves all of the things that Apple got right – remote app support and the built in apps like Netflix and AirPlay. I was worried that the lower output on the Apple TV would be an issue (it supports 720p instead of 1080p), but I can’t see a difference for the vast majority of the content I’m consuming, and the stuff that is 1080p still looks great. I’ve only had it running a few days, but I’m quite happy with the Apple TV & aTV Flash so far. This video is six months old, which is ages World of Warcraft’s RMT (Real Money Transactions) economy, but it still contains a lot of great information on the game market economics. For those of you not familiar with WoW, it is the largest massively multiplayer online role-playing game in the world with over 12 million subscriptions each month. There is a large market system built up around the in-game economy (gold) with brokers, farmers (gold producers), and customers who pay real money for in-game currency. Too much money, too much downtime. That sums up my experience with my web hosting company over the last couple years. My shared hosting account costs about $120/year, and sure didn’t feel like I was getting my money’s worth. Due to ridiculous email downtime and failing SSL certs I moved email services to Google apps a year ago. That helped a lot, but many times over the last few months my web server has gone down for hours at a time. The alternatives were to deal with another unknown web host (with likely the same problems), or buy a VPS (virtual private server) for a more than what I am paying now. Amazon web services was out of the question for personal use, as a small instance was $300 per year. All that changed this fall though. Amazon introduced micro instances – 613 MB RAM machines which provide a small amount of consistent CPU and burst CPU capacity when additional cycles are available. This is plenty of horsepower for my little website; probably more overall resources than it had access to in shared hosting. Importantly the pricing is quite reasonable when you consider reserved instances. The three year reserved instance works out to $88.65 per year, plus storage and bandwidth costs (minimal in my case). The real kicker though is that Amazon is eating the costs for micro instances + services for one year with their AWS Free Usage Tier to try to get more customers using AWS. The Amazon Web Services platform. I’m pretty familiar with AWS already – I’ve been using Amazon Web Services (EC2, EBS, S3, etc) at work for about two years now. It is great for being able to expand out with as much processing power as you want. Though things have been quite simplified these days (boot from EBS, elastic IPs, web control panel, etc), the service and concepts can have a fairly steep learning curve if you are new to it. Configuring & running a Linux server. I’m using Amazon’s Linux image for my server with mysql and apache installed. Getting applications like Gallery and WordPress running happily on a new server does take some reading up if you aren’t familiar with linux and web concepts (e.g using yum to install dependencies, editing config files to enable php modules and htaccess). You also need to think about things which are normally taken care of by your web hosting provider, like backups. This page is being served to you from my Amazon micro instance. It took me an afternoon to transfer my files from my old hosting provider and get everything setup correctly on Amazon. If you were new to the platform or Linux, it would take longer than that. But if treated as a learning experience, it is an amazing opportunity. AWS Free Usage Tier lets you try out a server for a year for free, that’s pretty damned amazing. Frankly, I don’t know of a better learning lab – you can pick and choose from hundreds of starting images, destroy them, and start fresh at any time easily and quickly with no cost. The real question is – will I still think it is a good idea to run my own web server a year from now? Probably not, but it was an fun little project.